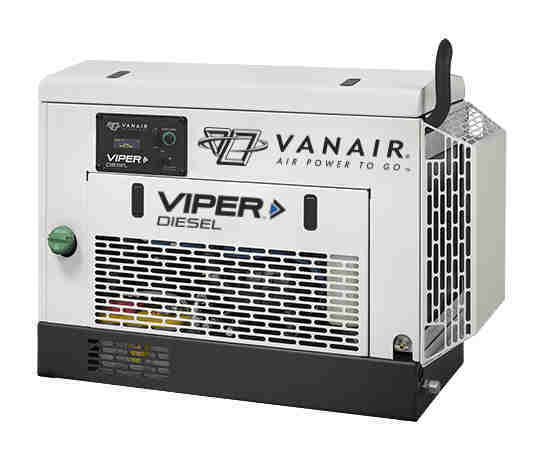 For a high-performance air compressor that delivers proven performance on or off your truck, you need a Vanair Viper Series Engine-Driven Air Compressor. This compact and rugged, diesel-powered unit can be easily loaded and unloaded from your pickup for maximum versatility. The Viper is ideal for monument engraving, irrigation service, rental markets, post pounding, directional boring, and general construction. fuel gauge and engine rpm.